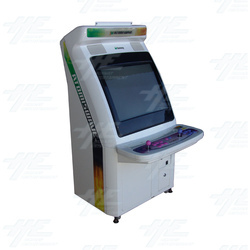 We have a number of customers in USA looking for Astro City, Egret 2, Blast City, Vewlix, Atomiswave SD plus many others, but they are single unit buyers. Our company specialises in bulk sales and we are looking for a partner in USA to work together. Because shipping one unit from Asia to USA is very expensive (up to $900usd in some shipments), we are looking to work with a partner where we can consolidate all our customers smaller orders into the one container. This means that we will ship a 20ft or 40ft container of mixed machines (all sold) to your warehouse and you will work with the local customers to release the machines to them. Its a great opportunity to earn money as well as subsidise your purchases. We can either direct new sales inquiries to you or handle all sales and use your warehouse as collection point only. If you have interest in working together, please email your full details, including experience and how best to work together.